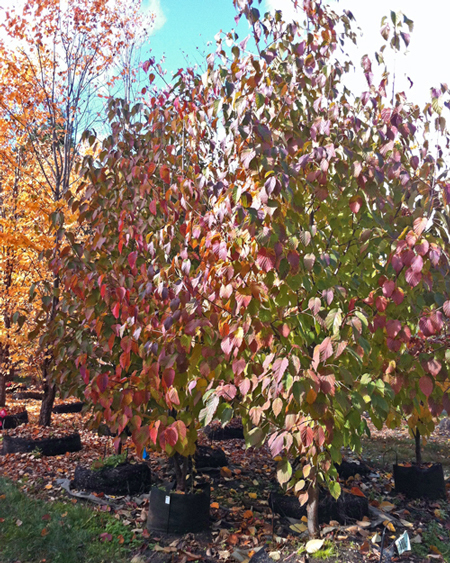 These trees are an excellent choice for an ornamental tree. They are moderately fast-growing up to 60 or even 80 feet, and should be placed in an area with plenty of space. The large, alternate, lush and green heart shaped leaves have an adorable swirl at the base of each leaf. 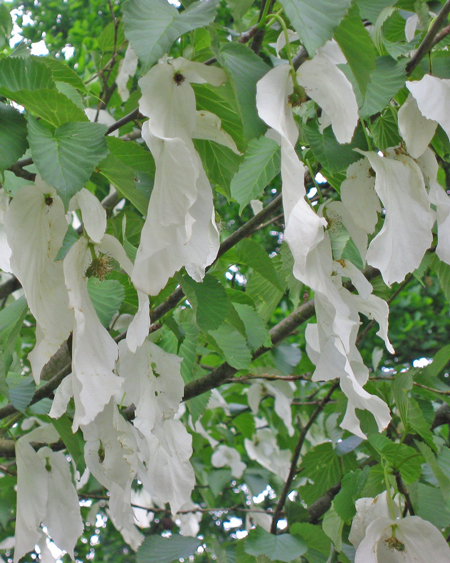 In late May, long, elegant, white flower-like bracts dangle from the branches in full bloom, fluttering and dancing in the breeze like white doves, or pinched handkerchiefs (hence, the English common name, Dove Tree). The visual splendor continues through the seasons as the leaves turn dazzling yellows, oranges, and reds (see our photos!) in fall. These beauties should be grown where they have room to spread and can fulfill their large growth potential. 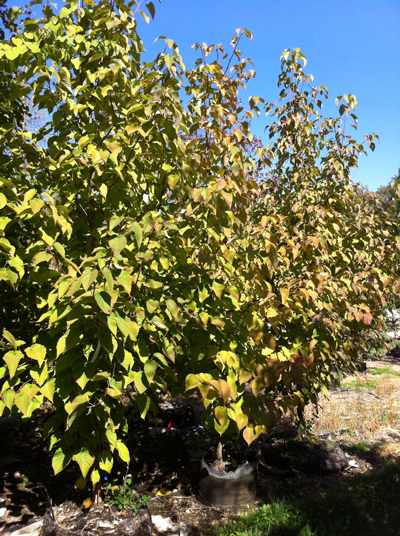 This species demands attention- use it as a specimen tree in a large garden or park. 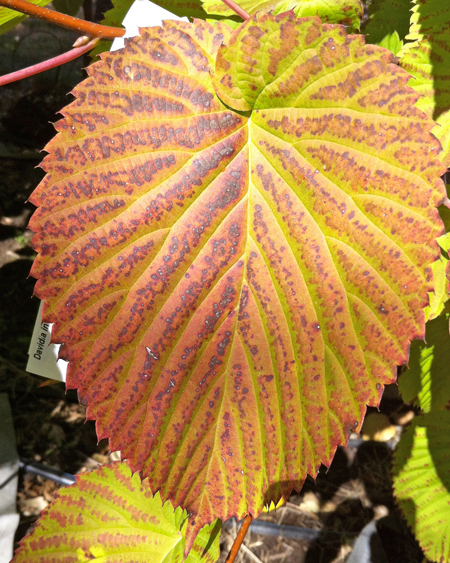 Plant in full sun to part shade, in fertile, moist but well drained soil. Avoid areas with strong winds.